Meghan made a double batch of these, so we ended up with about 100 of these little beauties. Okay, so maybe they aren’t “beauties”, as it’s hard to make anything that resembles a potato look glamorous! 1. In a medium bowl, beat the butter and cream cheese together until smooth. Add the vanilla and confectioners’ sugar; beat until smooth. 2. Using your hands if necessary, mix in the coconut. 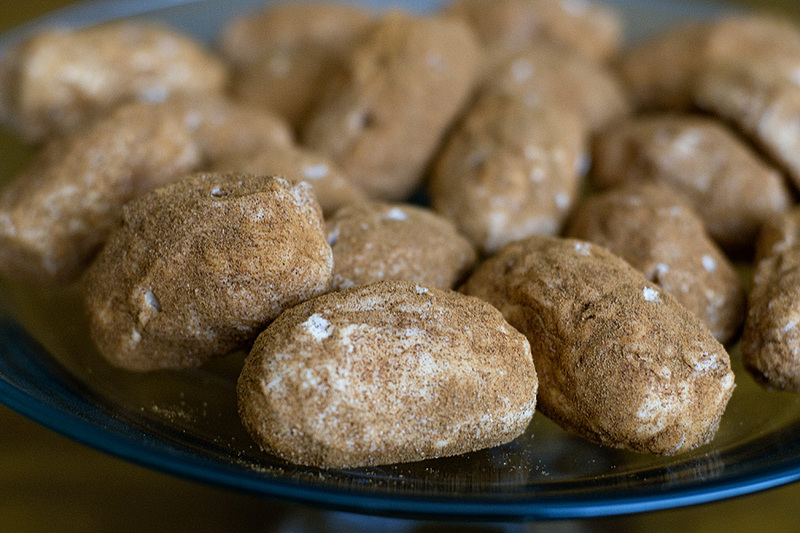 Roll into balls or potato shapes, and roll in the cinnamon. 3. Place onto a cookie sheet and chill to set. If desired, roll potatoes in cinnamon again for darker color.